If you’re on a shared computer or you just want to keep things private on your Mac, then it’s a good idea to protect individual apps with a password, so that only you can run them. 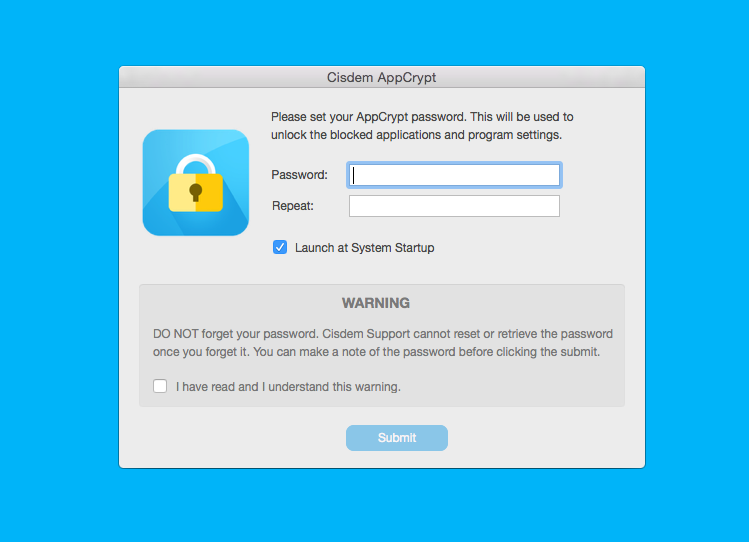 Cisdem AppCrypt is an app that makes it easy to lock apps with a password in just a couple of clicks. 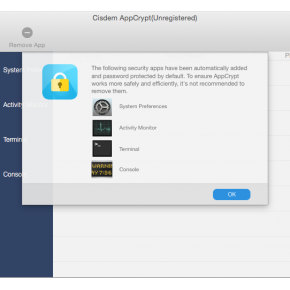 AppCrypt is a very simple tool that lets you lock any app on your Mac with a master password that you set when you run AppCrypt for the first time. It has a clean interface and is very easy to use. Like I said, AppCrypt’s makes it easy for you to lock apps with a password to prevent unwanted access to them. While it supports one main function (locking and unlocking apps), AppCrypt has some perks that make it very handy and a joy to use. When you run AppCrypt for the first time, it prompts you to create a master password you’ll use for locking and unlocking apps. You have read and agree to their warning that if you lose or forget your password, the Cisdem team won’t be able to help you recover it. When that’s done, the rest is a matter of adding the apps you want to lock. System apps like Terminal and Activity Monitor are added by default. That is really good because it’s very easy to forget to add them. Adding apps is as easy as clicking on the “+” sign. And here’s another handy AppCrypt feature. When someone tries to access locked apps, it logs the activity and you can even configure it to take a photo of the intruder. It also intelligently exits locked apps when it notices that you’re not actively using them. For example, when you leave your computer for a couple of minutes and it goes into sleep mode. AppCrypt is very intuitive and easy to use. All the features are readily available and if you need some help, the app includes a PDF tutorial. 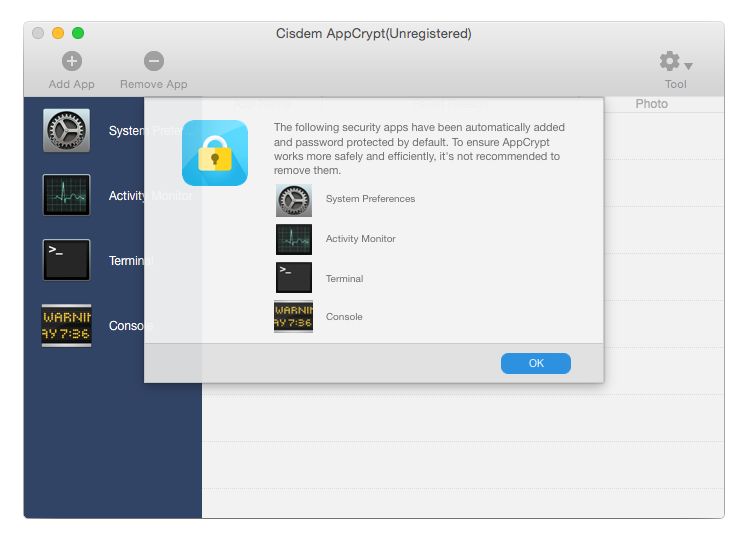 AppCrypt is a really good option for everyone who wants to lock apps with a password on their Mac. About the author Liz D.
Liz loves trying out new software and reading new books. She's a geek with an attitude, a passionate traveller and an emerging artist. Review Harbor Copyright 2016 REVIEW HARBOR. All rights reserved.